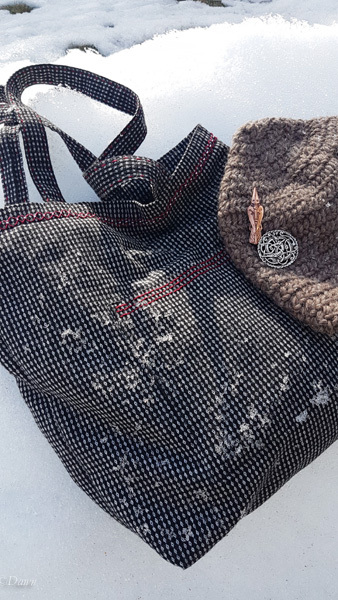 Just a quick post here – nothing too special, just thought I’d share the new bag I made for my Viking Age reenactment gear for events. 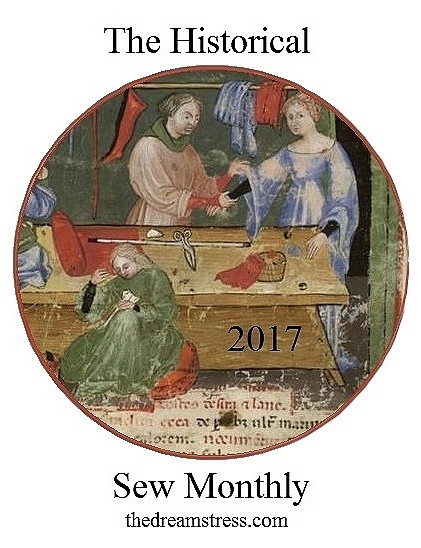 In mid-February I posted about a silver glitter circle skirt and a red spandex velvet circle skirt. 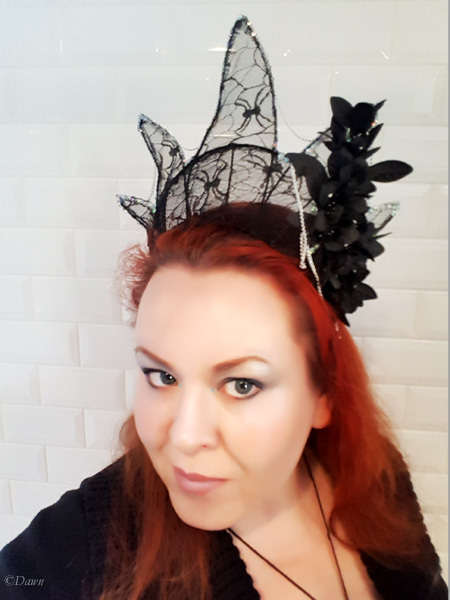 When I was done making them, I was going to work on another project, but was kind of loving them.. and wanted to add a few more to my wardrobe too. 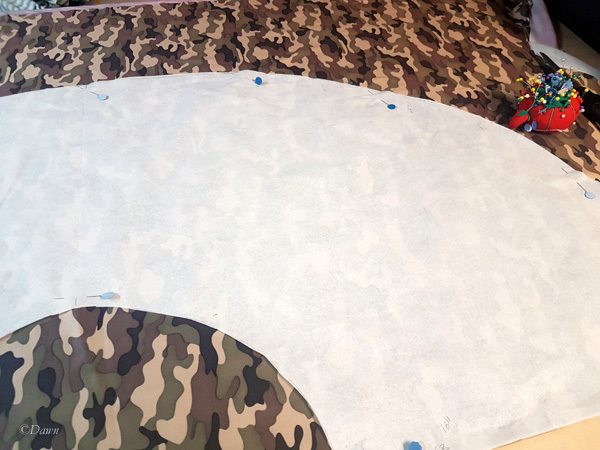 Laying out the pattern for a high-low circle skater skirt in camo-print knit fabric. 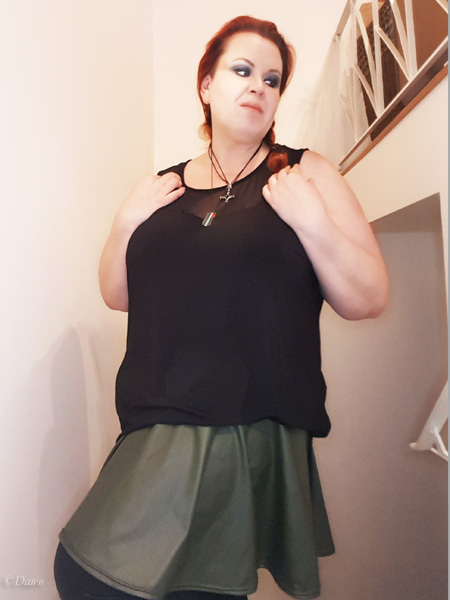 I did one skirt in a camouflage print knit, and another in a matte PVC spandex. The camo knit is the same fabric I used for a dress in 2016 (I still have some leftover… not sure what I’ll do with it). It’s a fairly thin knit, and the print isn’t quite as bold as I’d like… but it was the nicest camo knit I could find at the time. The fabric was from Fabricland in Calgary. 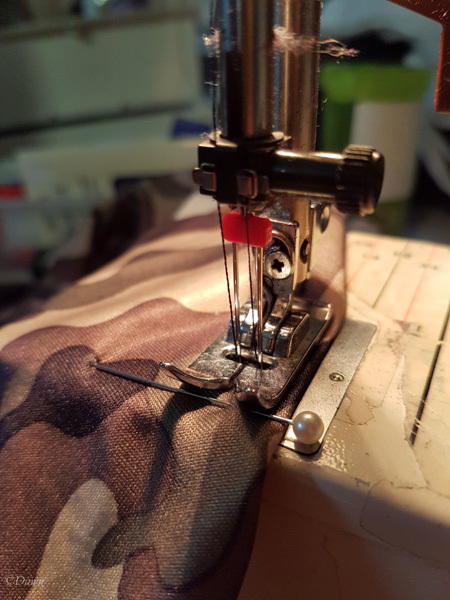 Sewing a twin-needle hem on the camo-print knit skirt. The PVC is an army/olive green, and has a matte finish rather than the usual shiny PVC. Because of the spandex back, it has moderate stretch, though not nearly as much as the camo knit. I think it was sold for matte PVC leggings; I bought it in a few colours… (and made up leggings in the blue in 2016 as well). The fabric was from Marshall’s in Edmonton. 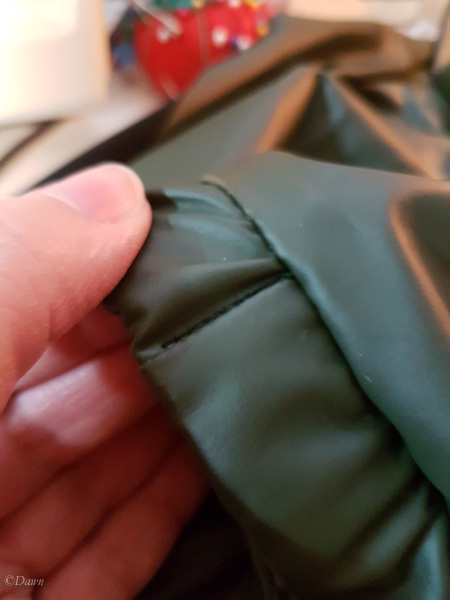 Stitching the elastic down in the waistband of the green PVC skirt. A few stitches through the fabric and elastic will keep the elastic from twisting. 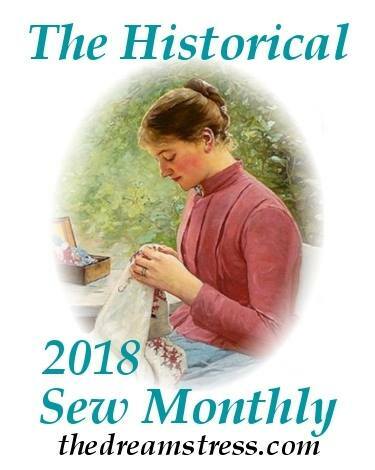 These ones used the same pattern I drafted – with a 16″ back length and a 13″ front length (tapering together at the sides), no seams, and a sewn-on waistband. This time however I enclosed the elastic in the waistband before sewing the band to the skirt, and hemmed both of them with a twin-needle stitch. 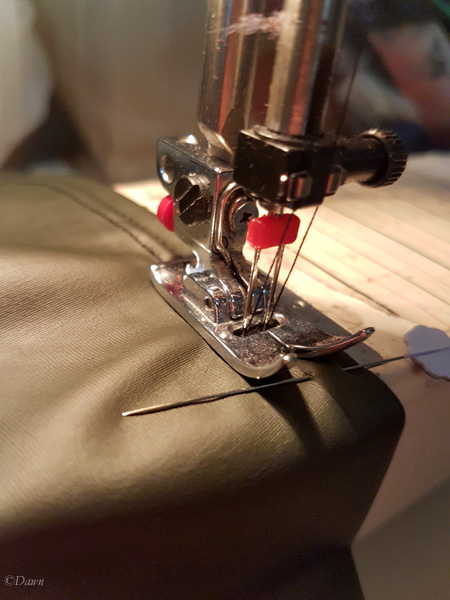 Using a twin-needle stitch for the hem of the green PVC circle skater skirt. 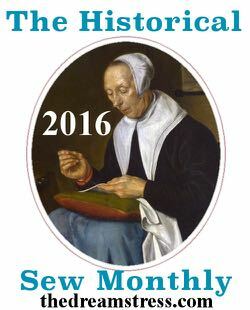 The twin-needle stitch gives a nice professional-looking finish on a narrow hem on the outside of the garment, but because the reverse is a zig-zag, it keeps some stretch. That isn’t so important on a loose skirt like this (which won’t be strained by walking) but is still a good idea for knits. 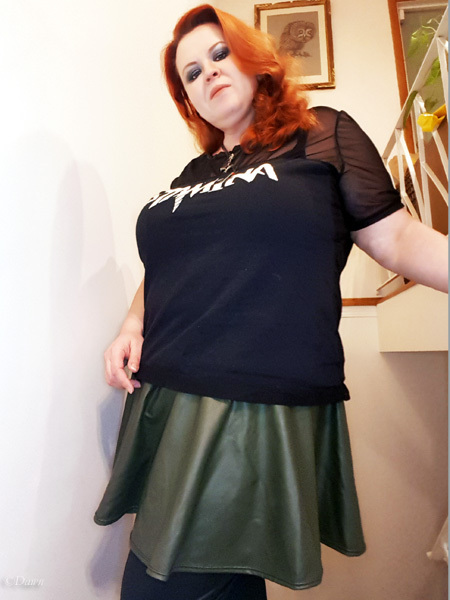 Green matte PVC spandex circle skater skirt. Since the PVC would mark quite a bit with pins, I used my finest pins sparingly to pin up the hem on the skirt. If this had been a different fabric I could have pressed it or basted it from the wrong side to get an even hem… but this was a good compromise.